You are here: Home > Jennifer Margulis, could attachment parenting be a trigger for autism? Jennifer Margulis, could attachment parenting be a trigger for autism? In a striking about face, Jennifer Margulis, wootastic journalist and homebirth advocate, has modified her stance that vaccines cause autism to embrace the idea that ultrasounds cause autism. It’s not surprising when you think about it because the vaccine autism claim has been thoroughly and exhaustively debunked vaccines and ultrasound are exactly alike: both are interventions and all homebirth advocates know that interventions are bad. On her blog today, Margulis treats us to her special brand of smearing by insinuation “journalism” by posting her interview with Dr. Manuel Casanova, M.D., the Gottfried and Gisela Kolb Endowed Chair in Outpatient Psychiatry and a Professor of Anatomical Sciences and Neurobiology at the University of Louisville. As far as I can determine, Dr. Casanova’s theory is this: ultrasound can affect cells, the brain is made of cells, ultrasound may affect the brain. How does he get from that to autism? Those were my initial thoughts about why ultrasound could be of significance in terms of autism. Then the more you examine ultrasound and its epidemiology, the more proof you can draw of the same as a risk factor for autism. Populations within the United States that don’t use as much ultrasound are at a lower risk, like the Amish. The Somalis, where autism is practically unknown in their native countries, when they migrate to developed countries, they acquire a higher risk. This is not a property of being in this country. Somalis also acquired a higher risk for autism if they move to other developed nations. Obviously, in these new surroundings, they are receiving more ultrasounds. Sorry, Jennifer Margulis and Dr. Casanova, it’s pretty clear that ultrasound doesn’t cause autism, attachment parenting causes autism. Let’s face it, the the more you examine attachment parenting and its epidemiology, the more proof you can draw of the same as a risk factor for autism. Populations within the United States that don’t practice attachment parenting are at a lower risk, like the Amish. The Somalis, where autism is practically unknown in their native countries, when they migrate to developed countries, they acquire a higher risk. This is not a property of being in this country. Somalis also acquired a higher risk for autism if they move to other developed nations. Obviously, in these new surroundings, they are exposed to attachment parenting. Many people believe that because having a child with autism confers a greater risk of having a sibling similarly diagnosed, that this is a genetic condition. However, this could also be explained by attachment parenting, because mothers who practice attachment parenting with one child tend to do so with their other children. Need more proof? You can refer to my ground breaking post of November 2010 in which I first revealed that attachment parenting causes autism. Those who have read this far have probably figured out that this is a satire. I’m satirizing the “thinking” of wootastic “journalists” like Margulis. The purpose of the satire is to demonstrate that what seems to Margulis to be compelling “reasoning” is nothing more than nonsense, and logical fallacies. I’ve tried to highlight the major rhetorical gambits of the claim that ultrasound causes autism. Number 1 is the claim that because both ultrasound use and autism have risen in recent decades, ultrasound must cause autism. That claim is foolish as can be seen when the same observation is made about attachment parenting and autism. Just because the incidence of two phenomena rise at the same time does not mean that one caused the other. Number 2 is the temporal connection. Prenatal ultrasound precedes the observation of autistic symptoms, but a lot of things precede the observation of autistic symptoms. That’s because those symptoms typically do not appear until the early toddler years and anything that takes place earlier (like attachment parenting practices or prenatal ultrasound) will precede the observation of symptoms. Number 3 invokes a spurious mechanism of action. It is certainly plausible, but no evidence is presented that it actually occurs. Number 4 is the “argument from ignorance.” The argument from ignorance dares the opponent to prove a negative and when a negative cannot be proven (since that is a logical impossibility in most cases), the conclusion is proclaimed that this “shows” that ultrasound causes autism. True to the principles of wootastic “journalism”, Margulis concludes the post with the seemingly innocuous call for “more research.” But we cannot and should not waste time “researching” connections that have no basis in science. If we did, we could spend a lot of time “researching” whether the moon is made of green cheese or whether clouds are made of marshmallows. The call for “more research” is just away to add gravitas to what are often ridiculous claims. We do not need to “research” every wacky idea that vaccine rejectionists devise and our refusal to “research” those ideas without basis in science or logic is not a sign that someone is hiding something. The key point is that what passes for “reasoning” among wootastic journalists like Margulis is not reasoning at all. It is nothing more than wild accusations, logical fallacies and conspiracy theories. There is no more reason to take seriously the idea that ultrasounds cause autism than there is to take seriously the idea that attachment parenting causes autism. You are insane. Please read the work of Dr. James W Prescott of the NIH. Virtually the BEST thing a mother can do for a baby is to carry him and breastfeed him. Sensory deprivation comes from NOT being held, carried, touched and cuddled. Babies are meant to be close to mothers. Think of the Romanian orphanages… total lack of attachment is a disaster for a child. Ok, I really did LOL at that. I know this is an old post, but I might have to print it out and bring it to my EN101 class as a spot-the-fallacies worksheet. Healthcare students who are forced into a compulsory writing class love writing about autism conspiracies. Came across this after listening to the NPR Radiolab story about autism, “Juicervose,” and thinking that the Son-rise autism treatment program sounded attachment-esque in its sensitivity to the needs and feelings of the child. I’m British but I live in Macedonia and I received antenatal checkups here before going back to the UK to give birth. In Macedonia they give ultrasounds at every check up, that’s every 3 weeks. In the UK they only give 2 ultrasounds during the entire pregnancy. The autism rates are much higher in the UK than they are in Macedonia, so that contradicts the ultrasound = autism correlation. From what i can find online the rate in Macedonia is 0.25 in 10,000 and in the UK it’s 1 in 110. Although the statistics for Macedonia is limited and autism is being underdiagnosed here compared to the UK, so that will account for why there is such a huge difference. I mean no disrespect but you might want to review the research on the possible autism-ultrasound connection before you dismiss this. Unlike the vaccination-autism movement, which largely was grassroots, the ultrasound-autism link is being investigated by many well respected academic scientists (Yale, Stanford etc.) and is grounded in high quality research. It isn’t quite conclusive yet but all of the evidence from animal models is pointing in that direction and at a minimum extreme caution is being advised when using this technology on pregnant women. Don’t forget that in the 1950’s OB’s were using X-Rays on pregnant women to determine fetal position. I wouldn’t be so quick to rule this out quite yet. Wonder what the folks at the Brandeis Shuster Center for Investigative Journalism think about this? For that matter, I wonder what the folks at Amazon would think about an author so immature and desperate that she resorts to having her friends sabotage reviews? Oh my GOD how unprofessional. Well, two can play that game. Guess I’ll click over. I love that ANY critical person is a Dr. A follower. Okay. I guess we infiltrated the NYT too, huh? That reflects terribly on her. That is profoundly unprofessional. Kind of like the book she is promoting. Quite a scathing review. I’ll give ten-to-one odds someone accuses you of ghostwriting it. I froze in shock for a fraction of a moment, and then started laughing aloud. Is this actually written down in a paper? Wow. (Exasperated sigh) – I really appreciate your work, Dr Amy. If you have time, please write a post about how you try to keep your cool in such situations and how you cope with the recurring urge of banging your head against the desk. Lots of us could use tips in the matter. LOLOL! Robert Biter has endorsed Jennifer Margulis new book. Just what she needs, an endorsement from a doctor who has been disciplined by the California Medical Board in connection with the death of a baby, lost his hospital privileges years ago, AND is facing 6 malpractice suits. It’s like Dr. Crippen endorsing a book on healthy marital relationships. But where is the foreword by Lisa Barrett? What hideous injustice is this? By the way, these people afraid of ultrasound … I hope they never walk through automatic doors, use anti-theft motion sensors, use certain kinds of autofocus, or encounter any of the other modern uses of ultrasound. How do these folks *think* automatically-opening doors work? It’s a pulsed ultrasound looking for reflections. You can hardly go shopping in a first world country without encountering ultrasound. And what about dolphins? Hmmmm? US doesn’t seem to hurt them! Yes, they are sending them out, but they are getting them bounced back to them all the time, too. Duh Bofa, their natural. Also, natural midwives remember? Oh mother. They’re. Talking and typing is beyond me apparently. Phew for a moment I wasn’t sure if Dr Amy was joking and I was getting a little worried about the AP Autism theory ha ha now I am laughing at myself. As if! So annoyed during my pregnancy at all of the idiots on mothering forums talking about the DANGERS of US and scaring moms in high risk pregnancies that had to have many ultrasounds to guarantee that their babies made it out. “Oh, it causes brain damage, it causes left handedness…” Yeah, well, I’m left handed. People are left handed. What of it? Welcome to my world. If you wish to officially join the club I could show you the secret had shake. It doesn’t matter which hand you use and there is no touching involved. It’s more of an awkward wave really. followed by staring at the floor then shrugging and walking awa…AWWW CRAP I JUST TOLD EVERYONE THE SECRET HANDSHAKE! They do ultrasounds once a month in a German pregnancy. No explosion of autism noted yet. This is hilarious! Thank you Dr Amy. Hoo boy. If this is true, my kids will end up with autism for sure. I work with an ultrasound machine all day long and most days I just couldn’t resist the temptation to sneak in a quick look at what baby was getting up to in there. I only used simple US though, no doppler techniques or 3D stuff. I did the same thing with the ultrasound we use for nerve blocks and the 4MHz curvilinear probe…hey, how else do you pass the time on slow call nights? You’ll like this: http://www.theatlanticwire.com/national/2013/04/12-million-americans-believe-lizard-people-run-our-country/63799/ Awesomeness. I wish Jennifer Margulis would stop commenting/writing on science since she’s a writer not equipped to write about science. She needs to stop writing about fiction and passing it off as fact. It’s absolutely embarrassing. I just found your website and I have to ask, do you post this stuff just to make people angry? What about this would make any thinking person angry? That was my question too! Unless Rebecca is a big fan of Jennifer Margulis, or actually believes that ultrasounds, as used, can be harmful. In that case, she may have an allergic reaction to the sarcasm. You get angry when people post things that are to the extreme of natural childbirth, right? So can’t you see how other people may be bothered by this extreme view of medicalization or whatever you call it. I am just honestly curious if Dr. Amy believes what she types or if she is using satire because of her anger towards the NCB movement. What is extreme here? That women deserve accurate info regarding the risks of hiring a midwife in the US? The dangers of homebirth? The idea that we cannot control all aspects of birth? That women should not feel ashamed if they have an epidural or cesarean? Dr Amy is angry about liars – people who hide deaths and death rates. She isn’t angry people have natural births. She had two. So what is your question? Wait, you’re asking if this post, clearly marked “satire” is satire? Or you’re bothered by “extreme medicalization” in the form of asking for actual scientific evidence for your claims? And furthermore, you’re **angered** that someone would want that??? It’s not about emotions, it’s about facts. It’s clear you cannot argue on the facts. If you could, you would, instead of just once again accusing Dr A of being inflammatory. You’re out of your depth. I do acknowledge that I posted this question under the wrong blog. I was referring to her blogs in general (this was simply the last one I read) and I am not trying to argue facts, I am simply asking a question. Rebecca – does this blog make you angry? Or do you, like most of us, get angry about the misinformation and danger surrounding the things that Amy is arguing against? Well, some of us are angry at unnecessary deaths and suffering, and some are angry because reality gets in the way of a lovely, comforting rosy view of how things should be. I don’t think I ever quite got over discovering that Santa Claus wasn’t real. I liked the make believe version better. The fantasy version of birth is a relatively new invention, and if you are fortunate you can hang on to the illusion longer. No, I post it because the mistruths, half truths and outright lies of natural childbirth advocacy and homebirth advocacy make me angry. It makes me both angry and incredulous. The two big lies that NCB has to peddle are that childbirth is safe if it is not medicalised – so no need to bother with such fripperies as ultrasound, GD tests, EFM – the things that make it safer (but not safe) etc, and the second lie is that a blissful birth is a matter of will, and that anyone who does not achieve it has failed. The consequence of those lies, in my opinion, is that women and babies are put at unnecessary and sometimes lethal risk and that the general sum of human misery is increased. In order to support those lies, supporters have to invent “evidence” that ranges from the disingenuous to the downright ludicrous. In order to buy into these lies, there has to be a general dumbing down or rejection of the rational that doesn’t seem all that constructive either – and also a subversion of generally beneficial things – like women receiving decent treatment in hospitals, and being supportive of each other, into paths that serve no useful purpose. I always like to tell people who say fill-in-the-blank causes autism: “Well, personally, I think NOT smoking during pregnancy causes autism. Think about it. Just as women started learning the dangers of smoking while pregnant, autism rates soared. My own mother was told by her doctor in the ’70’s to smoke to keep her weight down while she was pregnant with me, and I obviously do not have autism. I, however, quit smoking while pregnant, and my son was diagnosed on the spectrum.” It’s all tongue firmy in cheek, of course, but makes as much sense as anything they’re throwing out there. I hope you don’t mind if I steal this line of reasoning?! I wish I were not treated like a bad mother and a sheep simply for trusting my doctors. You can’t spit without hitting someone who will tell you that ultrasounds, vaccines, and C-sections are evil. I’m a formula-feeding, C-section mom of a 2-month-old who is beautiful and healthy after a high-risk pregnancy. I got ultrasounds and NSTs every week – to make sure he was doing okay and to help plan the safest birth possible for him. I get so tired of reading about what a shithead this makes my amazing perinatologist, and what a fool i am for trusting him. Thank you for speaking up. These myths make otherwise rational people feel fearful and guilty. You can’t spit without hitting someone who will tell you that ultrasounds, vaccines, and C-sections are evil. This is so awesome. I’m going to keep this in mind as a framework for a bull5hit detector. They do an ultrasound at every prenatal visit in Japan, including internal ultrasounds in the first trimester. The standard of care is about the same number of prenatal visits as here, if not a few more. I don’t think Japan has a particularly higher rate of autism than anywhere else. In my case there (anecdotal), I had an ultrasound every day from 31-33 weeks because of a serious complication. Daughter turned two this week. She is fine. In Australia they are not done that frequently, but at least one scan (18 weeks, IIRC) is covered by medicare, so essentially everyone gets at least one. Haven’t heard any paranoia about it here. My ob had an ultrasound machine in his office. I had one most visits (private system). No autism in either kids.. Not scientific I’m sure, but neither was anything Jennifer Margulis wrote. I did one at work today on a 24-week pregnant woman who had mild back pain after a fall, and was worried about Bub. Quick scan, baby moving, looks cute, we look around and say “look, there’s a hand, there’s the heart beating, baby’s waving hello” etc, mother feels better. Voila’. Off topic, but have you seen this yet: http://www.nzherald.co.nz/lifestyle/news/article.cfm?c_id=6&objectid=10874628&fb_source=message. Wow, remarkably high grade woo, indeed. I didn’t realize that a forceps delivery or vacuum delivery was something that caused excessive stress, while the stress of being born was good for us. Funny, even now, “knowing” that, my brain just refuses to accept the il/logic. This is what you see when someone professes to be expert at something way outside their education. This is clearly someone who read about epigenetic effects and then — without actually understanding it or the mechanisms by which it operates — decided to run with it. Epigenetics is the new darling of those who don;t understand genetics. My degree is in physics, so when woo-full people go on invoking the word “quantum” I cringe. It’s rarely used in any approximation of appropriate context. I can just imagine a biologist or medical researcher (e.g., this is their field of studty) reacting to misuse of epigenetics. This is a news report of Hannah Dahlen’s latest article on the site The Conversation. You will notice she gets soundly demolished in the comments. (And doesn’t respond or defend herself). Quantum midwifery: Even Worse Than Our Usual Brand. My stepsister has a Master’s degree in autism-related therapy. She is an expert and a specialist in the diagnosis and treatment of kids with autism. Her success rate with this special needs population is very impressive. Several days ago she commented: “I think the prevalence of autism diagnoses is partly due to misdiagnosis or over diagnosis so that treatment can be given.” The reality is that insurance only pays for certain things and the trick is knowing the right code to get the right coverage that insurance will pay for. That’s a reality -based assessment from someone in the field. So, that’s my 2 cents’ worth! I’m not sure I understand. Your sister is saying that children are wrongly being given a diagnosis for autism so that they can receive treatment for autism? Why would autism theray be beneficial for these children if they weren’t autistic to begin with? I don’t know the case described above, but I do know that daycare employees here are frequently asking for parents to get their babies diagnosed with developmental problems so that a physical therapist will be paid by insurance to come to the daycare and play with the kids for a while each week, taking some of the load off of the caregivers. That seems to be an issue in Australia as well. A diagnosis for a behavioural problem brings both legitimisation and greater access to support – including at school. Well that makes sense. My daughter’s daycare said she had some obsessive behaviour that was concerning. We took her to a psychologist that specialises in autism and one of the first things he said was ‘she’s not autistic’. She is, however, extremely stubborn and appears to be quite bright and it was possible her ‘obsessiveness’ was just her stubborness and a higher concentration span than her peers? That was the conclusion we all came to in the end. Her public school kindy teacher hasn’t mentioned anything either. I’d rather check these things out than not and it was reassuring for us but it was a lot of mucking about at the time. Yeah. My mum and dad find it very funny..
My preschool turned me in for obsessive behavior too! I was cleaning everything. It turned out that I do have an anxiety disorder, but now that’s under control, I am a perfectly normal slob! No, she’s saying that some kids have developmental or behavioral issues that AREN’T autism, but that with an autism diagnosis access to needed services is much easier. This. There’s a lot of kids with behavioral problems that don’t necessarily fit a specific diagnosis (PDDNOS is one). Autism is such a widely known diagnosis that it can get them services that no true diagnosis will. “Autism spectrum disorder” covers a lot! When schools put students on an IEP, the schools get federal money. I don’t know if this is all the time or sometimes, and I don’t know how much. But I do know that schools get federal aid based on students having various diagnoses and having an IEP. Diagnosing a kid with autism may be one way to fast track getting an IEP. It is not true all the time. It may even be not true most of the time, because most of the time students with IEPs are in regular classrooms. Schools get special education funding when they have students in separate special education classrooms or “pull out” services. Ah, that makes sense. One of my kids had an IEP for several years, including “pull out” services. The school did this because it was the right thing to do. When we mentioned a diagnosis, however, they got extremely interested and wanted us to be able to prove a diagnosis had been made, etc. I asked why the sudden interest when it doesn’t change how he is being helped, and “federal funding” was the answer. Thanks much for the clarification! They can have certain behaviors that can appear like autism, but aren’t serious enough to truly be autistic. Those milder behaviors aren’t covered by insurance, but my stepsister can do wonders for them with good treatment and help them adapt to their environment with great success. Perhaps the term “soft” diagnosis of autism might be clearer. See above. The services are tailored to the needs of the specific child, so the diagnosis doesn’t matter as much as the behaviours that we’re trying to work with. In fact, a diagnosis is relatively meaningless: a thorough assessment is what’s most important, outlining what is delayed, what is normative, what is necessary to work on. Diagnoses matter more when medication is involved. I know someone who given an autism diagnosis so that they would have greater access to services. The little girl was being held by her mother on a deck that collapsed when she was 4 months old and got a traumatic brain injury that causes symptoms a lot like mild-moderate autism. There are very few services available for this type of traumatic brain injury and what is available insurance will not pay for. Whereas for autism there are a lot of services available some of them provided by the state free of charge. There can be an overlap between the behaviours of people with brain injuries and autism, and some of the techniques or facilities for autism can be helpful – so yes, sometimes people do seek out that additional label to access them. What I don’t get is why people are so afraid of autism and not all that bothered about the effects of oxygen deprivation. Excellent observation, Lizzie Dee. I’ll raise you one higher, though. What if autism rates are higher due to the rise in natural childbirth that causes oxygen deprivation – either known or unknown. What if? People fear things they don’t understand more than equally damaging things they do understand. Irrational but sadly real. I don’t think that is the popular perception of autism, though. I think it is more Rainman, and everyone is afraid of their adult child having a meltdown in the Cincinnati airport. Imagine how embarrassing that would be! Don’t get me wrong—I would rather have an autistic, but otherwise healthy child, than a dead baby because of irrational fears of autism. To be honest though, I was a bit concerned about having an autistic child. Not because of any specific reason, but because so little is known and so far, it appears that it can happen to anyone. I know the spectrum is wide, and more often than not, ASD people do very well, especially if they get early intervention. But, a fear of having a severely autistic child is not about being embarrassed in an airport. It’s about having a child who may never be self-sufficient. That situation is difficult on marriages, finances and social lives. Also, what happens to the (grown) child when the parents die? I know it sounds bad, but caring for an incapacitated adult, whether severely autistic or suffering from Alzheimer’s disease is a burden. It is expensive, time consuming and depressing, and since most children outlive their parents, who will pick up that burden when the time comes? Saw this frequently: autism spectrum was better funded, and yes, more diagnosed for this reason and I also agree! I had kids in my care who did not really meet criteria, but were otherwise developmentally delayed or who had conduct, trauma, or attachment disorders. We had additional and specific moneys related to programming for ASD. So you’d get a chart with a list of DXs often including the list of (what I really feel) were the genuine DXs with the tag on of ASD. I assumed this was the reason for the tightening up of the criteria in this new DSM. Autism funding as a result of concerted lobbying has been successful. And really, much of the behavioural therapies for ASD are indistinguishable anyway from what would be used, as O/T, P/T, speech services are all individually tailored to the needs of the child. Autism itself manifests in different ways, so really, who cares, since we’re just trying to secure funding. Indeed, if I had to find funding for a kid, I’d just use whatever DX got us the most funding. It shouldn’t be this way but ethically, it’s worse to see a child go without services. This is so stunningly stupid. Next they’ll be saying that bras cause breast cancer. (Oh wait, I’ve actually heard that claim before.) What I find tragic is the lack of critical thinking skills that allows this lunacy to spread. I’d say the “decline” of critical thinking skills, but honestly, I haven’t see any evidence that prior generations were better in this area. There have always been snake oil salesmen and there have always been fearmongers trying to monetize fear. The difference is, the Internet gives idiots a platform, so they’re more visible. My favorite logical fallacy is that folic acid supplementation causes autism. Again with the correlation / causation fallacy. Never heard that one before, although some of my fellow lactation consultants are beginning to believe that folic acid supplementation can lead to tongue tie. How do they think it does that? I’d gladly take tongue tie over spina bifida. Now say that sentence out loud while poking the tip of your tongue out through your teeth. Got that? Now repeat it twenty times after drinking several shots of Tequila. You’d better note that this is satire, or you will be taken seriously — although, seriously , this sort of credulity is a serious problem. As to the “rise” in the incidence of autism, especially in the years since thimerosal was removed from vaccines, does no one note that the definition of autism has been repeatedly enlarged? I think there will always be a group of kids who have issues, parents are desperate to get help, and they get lumped into the trendy diagnosis. My brother had significant behavioral issues from a young age. When I was a kid, ADHD was the disease du jour. So he was diagnosed and treated for ADHD. I don’t doubt he’d be diagnosed with ASD now if he was a young child. Well now after years of bouncing around with diagnoses he’s finally got one that fits: epilepsy. Why does autism get the lion’s share of the attention in controversies like this? If it wasn’t ultrasound they would find some other cause. Other diseases have experienced increases in diagnosis as well. Is autism just so mysterious or is it more shameful or what really makes it so special? I don’t know if any other diseases have increased as much or as quickly as autism. We’ve gone from around 1 in 10,000 to 1 in 50, in what, 60 years? That’s probably why it gets so much attention. A survey recently in the UK looked at prevalence of autism in children and adults aged over 30 and found it was similar. Mostly because the adults were being diagnosed retrospectively I.e. no, autism isn’t getting “more common”, we’re just changing the labels on adults from “eccentric” or “special needs” to “Autistic”. PS I think Jennifer Margulis missed that maternal place of birth being outside of Europe and North America is a risk factor for Autism. I’ve always thought that had to be part of it. I strongly suspect my brother and my best friend’s brother (ages late 20s to early 30s) would today be diagnosed on the autistic spectrum but because autism was understood so much differently back then, they were just considered odd or bratty or geniuses-with-no-social-skils. Among my law school friends, the (derogatory and not at all PC) term “aspie” is thrown around a lot, because so many classmates have issues with this. I’d say a sizable portion of my class could get an ASD label if they sought it out. Including myself, actually. It wasn’t a term thrown around in my university class (probably too old for it – this was mid ’90s), but it was a highly technical field and also attracted this ‘type’. I’d well imagine a higher percentage with the potential for an ASD diagnosis amongst them too. I suspect that it gets a lot of attention because the cause is unknown. That’s what allows the purveyors of woo to imagine that anything they don’t like (vaccines, ultrasound, pitocin, etc.) causes autism. That, and the fact that certain groups have made autism out to be the scary monster that eats your baby. 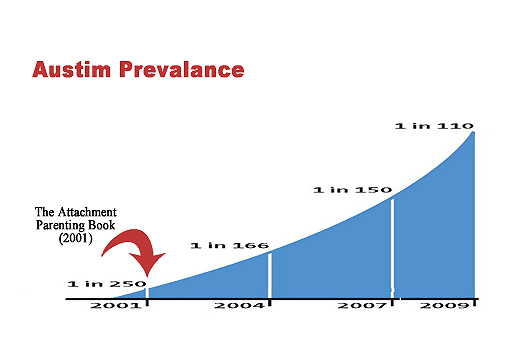 To be perfectly accurate, the rate of autism *diagnosis* has increased dramatically. What is less understood is whether the rate of autism itself has increased at all or dramatically. The definition of autism has increased quite a bit by the comparatively recent definition of “autistic spectrum disorder” (which i have a relative diagnosed with). Basically, a whole spectrum of behaviors are now being called — by the lay person — autism. PDDNOS (Pervasive Developmental Disorder Not Otherwise Specified) being part of the ASD is part of the issue. It allows all sots of other things that would not otherwise be “autism” be diagnosed as “autism” because Autism is the cause du jour and thus gets the most funding. I looked into the claim about US and autism once, and found a lot of scare-mongering sites that would describe some of the effects of sonication – cavitation, and super heating, and whatnot. What they of course failed to mention is that processes like cavitation only occur at pretty high power, something like 10 watts/cm^2, whereas US imagining instruments have powers typically below 1 watt/cm^2. If you have ever seen a sonicator in action, one that deliberately creates the effects, you would never mistake it for US imaging. In fact, you would laugh at the comparison. Some years ago there was a claim — unsupported by any real evidence of course, that babies didn’t like ultrasound because they tended to become very active in utero during scans. The implication, of course, was that the “radiation” was damaging them. No one ever stopped to think what happens when you rub a pregnant woman’s tummy, which is what happens when the sensor is moved over the abdomen. Women for thousands of years could tell you that the way to get Junior to kick is to rub your tummy. The baby seems to enjoy it. But ultrasound is an “intervention” and therefore, by definition, a Bad Thing. I read a theory that US is quite loud for fetuses. My own daughter would bury her face tightly in her placenta, from all appearances to get away from the US. reflections. People can hear to about 20 kHz, but some animals can hear into the range 100 – 200 kHz. One GHz is 1,000,000 kHz. People can hear AT MOST to 20 kHz. It is absolutely impossible to hear. There are other ultrasound uses in industry that use much lower frequencies (and often much higher power), but those don’t apply here. The Pulse Repetition Frequency (PRF) is how often per second the ultrasound transmitter is turned on and off. If you’ve ever stood in front of a very loud loudspeaker that was turned on and off, you’d feel the pressure difference when it was turned off. I doubt it’s possible to hear the PRF, since it’s not directly a sound wave itself, but it may be possible to hear secondary effects from the transmitter being turned on and off rapidly. Thank you, I couldn’t remember if it was high or low, just that it was beyond the range of human hearing. I never understood why people would think the baby would hear it like a train, if we couldn’t hear anything. Babies, though able to hear higher frequencies than adults, never get in the range of bats or dolphins. The criticisms I have heard related to the ability of ultrasound to transmit energy as heat – that’s why it is sometimes used in physical therapy. The proponents seem to ignore the fact that many pregnant women and their babies survive fevers. The same ultrasound is used for imaging of adult carotid arteries (in the neck) – and the person can’t hear it. So how feasible is it that a foetus would hear it in a bag of amniotic fluid? My son would grimace and hide his face and kick in what felt like anger for all the third trimester US – and I had to have a lot to monitor him. He does do the same things outside the womb (he’s 36 months) when mad – doesn’t mean it was the sound. Maybe it was all the prodding. Whatever. Didn’t care then, don’t care now, and the kid is brilliant and healthy. My anecdote isn’t really the point, I am just saying I think there may be something to the theory. Ah, well then let me add my baby also does everything she did in utero now. Including bury her face in stuff like pillows and blankets. I am pretty sure she’s trying to suffocate herself. I honestly find it unlikely to the extreme that a fetus could *hear* the ultrasound. It is orders of magnitude beyond what any mammal can hear. However, that doesn’t mean it’s unlikely that a fetus could *react* to the ultrasound or the process of getting one. Does that make sense? Lots of things are going on. I suppose it’s possible (someone who knows a lot more than I would have to weigh in) that — like standing in front of very loud speakers — a fetus could *feel* the ultrasound, especially since it is turning on and off rapidly. Also, the probe is being moved over the mother’s belly. There will be strange machine noises (I don’t know how many of which would filter to where the fetus is). As the ultrasound frequencies dissipate in the body — the waves that don’t reflect back to the transmitter — there will be a small amount of heat generated. I have no idea if it is enough to sense. I wife certainly never experienced any sensation of warmth during any of her many ultrasounds. The energy is absorbed differently by different tissue types, just as with X-Rays and any other form of energy. Long and windy, but basically, it’s easy to believe with everything that’s going on that the fetus could sense something, or sense that something is going on. I’m not going to criticize for just reading abstracts. 🙂 You didn’t say there was absolutely an effect, just that you found it plausible. I have no complaints with that. The abstract goes back and forth on what it says. But the sound it does report them picking up on a microphone wasn’t the ultrasound frequency itself, but the pulse modulation frequency. “They stated that they picked up a hum at around the frequency of the pulsing generated when the ultrasound is switched on and off.” I’d like to see that kind of study reproduced. So far, at least as they report it, it’s just a single finding. But it does make it plausible that a fetus would hear *something*. Not the ultrasound itself (which is what I was saying), but instead something created by the ultrasound switching on and off hundreds of times per second. The abstract says “several rigorous studies have disproved that notion” (that ultrasound exposure in the womb can cause hearing damage), while longer term exposure to very loud noise apparently can cause hearing damage. I’d like to see that finding reproduced by different groups with different kinds of sensors. If they were using a metal hydrophone, for example, the US switching on and off may have set it “ringing” just from the physical affects of that on a rigid object. It doesn’t mean that a fetus (who has nothing so solid as a piece of metal, even bones are mostly cartiledge, right?) will necessarily experience the same thing. Does this help clarify what I was saying? I wasn’t trying to say it’s impossible for the fetus to hear anything. I did mean to say that it’s physiologically impossible for the fetus to hear the actual ultrasound itself. But not impossible to hear indirect affects perhaps caused by the fact that it is turning on and off hundreds of times per second. My baby steadfastly slept through every one. And she’s not deaf. So… I dunno. I dn’t think they notice, honestly. I gotta agree with you…I think they notice if the tech is pushing on your belly, but they would regardless of whether a us wand was present. We often saw our sons kicking each other, so they always had some interference, from inside. But yeah, mine aren’t deaf either and I didn’t see any bats or dolphins hanging around. Was she trying to eat a bit, to ward off depression? I do basic ultrasounds for women with first trimester bleeding, generally to reassure them that the baby is OK. Quite often the baby is lying still when I run the probe over, so I get the mother to cough, which often stimulates the baby to move. So, should coughing be banned during pregnancy, or ultrasound. Does coughing cause autism? Lol. No, iced water does. If a CTG trace was looking a bit ‘sleepy’, we used to give the mum a glass of cold water to drink quickly. The intention was to make the baby go, Yikes, that’s cold! And wake up a bit to give us a nice reactive bit of trace to finish off with. Ice cubes = evil. I have also heard of the radiation of the ultrasound affecting the DNA – what I see is that there are some cancer studies out there (which I haven’t read and I doubt the NCB zealots have either) that are looking at the effect of ultrasound on DNA and the NCB zealots have run with just the suggested idea and created a link to pre-natal ultrasounds and things like autism. The people who are afraid of the effects of pre-natal ultrasound’s radiation levels on the unborn better not have wireless internet, microwaves or even stand near a fire. Presumably nothing is wrong with her kids but she is worried anyway and weighing in on the issue. I wonder what is special about the baby’s bones that make it super heat from the ultrasound but not heat the mother’s skin at all . . . I understand that but is it possible for fetal bones to heat to a dangerous level when the mother’s skin feels no warmth at all? Keep in mind that fetal bones are not fully calcified. Mother’s bones would be in more danger of heating. Okay, but still, does it make sense to say that prenatal ultrasound heats the fetal bones to dangerous temperatures – temperatures enough to cause damage – without the mother’s skin feeling even so much as a tingle? There are not any maternal bones between baby and the standard ultrasound at 18-22 weeks. Surely if the ultrasound was strong enough to heat the fetal bones the mother’s tissue would feel some warmth – it is a different absorption rate, not NO absorption rate. The temperature increases caused in tissue by the use of current diagnostic ultrasound equipment are unlikely to extend outside a normal physiological range (including that experienced during vigorous exercse). Hazardous temperature rises in tissue can be induced by physiotherapy ultrasound equipment and by misuse of some non-medical devices, such as ultrasonic cleaning baths. Assuming this is accurate, there is no risk of fetal bones heating enough to cause damage. Also, fetal bones at 18-22 weeks aren’t terribly calcified. (Are they calcified at all?) So they won’t absorb as much energy as they would at a later state of gestation. That makes the effect even weaker. There are two principles here. The energy dissipates the farther it gets from the transmitter. (Unless these signals are focused with an acoustic lens, the farther in the body the signal goes, the weaker it gets.) Also, energy is primarily absorbed by tissue boundaries. The greater the “impedance” difference between tissues, the greater the absorption. This is why calcified bone will absorb more energy, and thus, get hotter, than other internal tissues. Proof by absurdity: Is it possible for the technology of ultrasound to do what they are saying? Yes. If you created a focused, high intensity ultrasound of whatever wavelength is absorbed most efficiently by partially calcified bone, you could definitely cause highly localized heating of the area you focused the ultrasound beam at. Similar to how you can use a lens to focus sunlight to a sharp hot point, although with ultrasound the energy is absorbed by many layers of tissues and not all at the focus point. Now, this is not my area of expertise. I don’t build or operate US equipment. I’m trusting the several sources I found to be accurate representations of the facts as they are currently understood. While the principles of physics are typically quite simple, there are sometimes very subtle effects. Given all that, I just don’t see any mechanism that would cause damage to a fetus. US doesn’t use ionising radiation, which is why in many cases it is the imaging modality of choice, initially, at least. Radio waves for WiFi aren’t ionising either, and I believe there is no worthwhile evidence to show it is harmful to humans, and, IIRC,even some evidence to show it’s not. But you can’t escape ionising radiation anyway, unless you can leave the universe – there’s background radiation on Earth, in space..
No! To those who invent their own science radiation is all the same! The effects are the same! Bad! Nothing natural gives off radiation! Except the sun! 🙂 Oh, and radioactive isotopes, and …. Look out, the sun! Radiation! Run, run, run! Isn’t it grade 10 science where you learn that UV is radiation. By then haven’t they learned that the sun gives off UV radiation? Do they really think that radiation has never existed before human invention? By the way I asked about the whole hand tumours vs brain tumours to a woo friend once – apparently the bones between the brain and the phone are thin and the brain is more vulnerable to the radiation anyway. I tried to point out we don’t have exoskeletons and that there is no bone between the tissue of your hand and the phone. Nope, the brain is very vulnerable. I can only think that this comes from a misunderstanding of the information regarding the brain not enjoying the same immune system that other organs do. Science may not be my speciality but curiosity is generally a trait I have and I would say it is truly lacking in those who just make up stuff and refuse to change their stance. I doubt anyone could be a good scientist without a great deal of the “curious” trait. I would hope that even the most woo-infused folks understand that UV is radiation. But I’ve stopped assuming a minimal level of scientific understanding. If you don’t know any biology, it’s easy to make up why the brain is more sensitive to radiation than the hand. After all, the hand is expected to be exposed to all kinds of contaminants and UV radiation, and the brain is not. Of course, going by statistics, people into woo (e.g., counter-cultural) are more likely to smoke. Maybe this is not true, but it fits my experience. Cigarette smoke contains radioactive elements. (see http://www.sciencemag.org/content/143/3603/247 for example) which are inhaled deeply into the airway. Including very close to the brain. Alpha particles may not penetrate the skull from the sinuses, I’d need to know the energy and I don’t care enough to figure this out. But it’s another fun theory to throw at people who claim cell phones cause brain cancer from the radiation. The background radiation has a 7.35 cm wavelength, so it’s in the microwave spectrum and non-ionizing. But, it would be a rare setup that would create an environment entirely free of ionizing radiation. The shielding material would have to not contain any impurities or unstable isotopes, which would mean centrifuging each constituent element. And jeebus, ultrasound isn’t even electromagnetic radiation, and hence is not photonic. It’s sound waves, which are longitudinal, and are not in any way comparable to electromagnetic radiation, regardless of frequency. They are completely different things. Ultrasonic waves are actually more similar to water waves than they are to electromagnetic radiation. Longitudinal waves are easily understood with simple classical mechanics. Understanding electromagnetic radiation needs an understanding of the work of like Clerk Maxwell. In fact, it was Einstein’s inability to fully understand Maxwell equations that led to him creating relativity. I don’t think it’s even appropriate to say “US does not use ionizing radiation.” They are so far different from each other, that it makes about as much to say that US does not use a hammer and chisel, either. Both are true, but are also completely obvious to anyone with any knowledge at all. As you say, there are many kinds of “radiation.” It’s true that saying “ultrasound is non-ionizing” is like saying “my vegetable has no cholesterol.” uhh…. yeah, no duh. Ultrasound — with enough power behind it — can certainly cause damage. But the level of power that would require, compared to what is used in the diagnostic setting, is night and day. US is a pressure wave, exactly like what comes out of a speaker but with a much, much shorter wavelength. Oh absolutely non-EM waves can be dangerous. Shoot, people who live on the coast know darn well the kind of effects that waves have. But as I pointed out, US waves are much more similar to water waves than to EM waves. In fact, I don’t like the characterization of US as “radiation” because I tend to restrict that to issues of photon release or absorption. “It’s sound waves” – yes the word ultraSOUND doesn’t seem to even be a hint at the possibility at what it actually is. I suppose the word ULTRA is quite scary though – if the SOUND is ULTRA then it is more and therefore bad. Either way I remember a wonderful little spectrum chart from school that showed the differences quite well, all they have to do is ask someone who knows. Well, there’s a couple meanings for “background radiation.” One is what you referred to, the CMB, Cosmic Microwave Background, which serves as proof of the hot big bang theory including inflation. The other “background radiation” refers to the combination of the constant stream of cosmic rays plus the natural radioactivity around us (including, for example, radon). Cosmic rays and radioactive decay products are ionizing. But then again I do not see any Amish or Somalis as government officials, CEO of major corporations, or professional athletics. So maybe ultrasound helps stimulate the brain and advances the brain so that we perform better and make better use of our brains. Well Somalis are very good marathon runners. Not exactly a “professional athlete” but close. There is money in Athletics…but you have to be GOOD . Somalia is surrounded by distance running countries but only entered two athletes in the Olympics, last year, itself. It should by rights be performing much more highly in terms of athletics, than it is, but the political instability doesn’t really produce a conducive environment for nurturing high level athletes (or diagnosing autism at high rates, for that matter). It’s not a surprise that the Somali diaspora should produce someone like Farah. Nothing like a little hypocrisy to grease the wheels of commerce. Who pays $27 for books these days? I wouldn’t do that unless it was something other than a re-hash of fearmongering mommy blogs. And yet…people will BUY this book, and pat themselves on the back for not falling prey to those EVIL doctors and corporations! Thank you so much for this particular post, Dr. Amy. Ultrasound seems to have become quite the bete noire of the NCB crowd. My NCB friends have been posting madly about “doppler dangers” and “ultrasound more harmful than helpful”. I am currently 24.5 weeks pregnant, and am considered high risk. I have had 5 ultrasounds to date – 5 weeks, 7 weeks, 9 weeks, 13 weeks (NT scan), and 20 weeks. I will probably have at least one more. My NCB friends have been scaring me, despite myself, about dangers of US. Thank you for this cogent post. Guest, I had roughly 18 ultrasounds with my youngest. Some were over an hour long. She is perfectly healthy. I read on this really reputable blog that Attachment Parenting Causes Autism. Attachment Parenting, without doubt, causes death. It is 100% lethal, although it may take 90+ years for the terrible effects of AP to become evident. So, they never did the long-term studies, did they? Irresponsible! Even before seeing the latest post I wrote about how the NCB sites are writing about the dangers of ultrasound – if you don’t get an ultrasound, you cannot find out about certain problems which means you cannot be risked out of that homebirth you really wanted or have any interventions stemming from that ultrasound (of course that those interventions may be lifesaving is something they just cannot admit). But now autism? I am going to have to find a link to something I read with mouth agape the other day – vaccines cause homosexuality. I will double check that it wasn’t some kind of April Fool’s hoax but I actually think it was a real article. My husband and I have had all sorts of vaccines – for work involved travel and I had no idea that we were just playing straight with each other. Bad science and homophobia in one article – there should be more bingo cards for autism and homophobic junk science. Doesn’t Orac call the Huffington Post a great hive of scum and quackery? Seems apt. Absolutely. I chose that link because it was recognisable – fortunately more reputable sources have not picked up the story. Great point – if you have a diagnosed risk from an ultrasound, you will be more likely to be told to have a MRCS or risk out of home birth or a birth center. Like declining GBS testing because you don’t want to have to be told you need antibiotics in labor. Digging your head in the sand to get your perfect birth is just plain dumb. I guess my vaccines didn’t take because I’m straight. My brother’s worked fine since he’s gay. Ah, yes. The u/s = autism hypothesis. One wonders why they select u/s out of all the biologically plausible environmental causes for autism*. There are other theories that are equally plausible, including vitamin D deficiency and exposure to new pathogens among immigrant Somalis. Moreover, it isn’t clear that “autism is unknown in Somalia”, nor that all immigrant Somalis are at equally increased risk. The increased risk appears in clusters in Minnesota and Sweden, but not in other Somali immigrant communities. And let’s not get started on the Amish, who do have autistic members in their community. There are other theories that are equally plausible, including vitamin D deficiency and exposure to new pathogens among immigrant Somalis. My hypothesis is the creamy variety of Desitin. Not the original stuff, the thick paste that is in the purple container, but the stuff in the light blue bottle. I one time tried to figure out when that product was first introduced, and contacted Johnson & Johnson, but got a complete run around. They would not answer my question of when the creamy version of Desitin was first put on the market. What are they trying to hide? Hmmm? Totally wrong. If you’d done your research, you’d know that the increase in autism incidence is directly correlated with the McDonalds franchises substituting canola oil for beef fat in making their fries. Wait… maybe they’re actually frying the potatoes in Desitin. Uh huh, you can’t reliably get testing and treatment for malaria and TB in Somalia. Never bloody mind autism. I’m going to make an educated guess that many of the severely autistic children in developed nations do not survive to adulthood. In the UK, low risk women now get a dating and viability scan at 12 weeks and an anatomy scan at 20 weeks. That is it. Oh, no, wait you can’t, because diagnosis of autism depends on other factors like clinician and parental thresholds for concern, ease of access to diagnostic pathways and even which set of tests and criteria clinicians are using to diagnose ASD. Margulis and Casanova should be ashamed of themselves. Developing, not developed nations. My bad. Sorry. Oh, can people PLEASE leave the Amish out of their anti-vaccine tropes? Whatever did they do to you? Amish children have autism rates commensurate with the general population. Also, I read a book about Amish society ages ago. It’s a pretty distant memory, but what I remember regarding the treatment of babies prior to walking sounded an awful lot like attachment parenting, only with the help of a very large family. Interestingly, I have Amish ancestry and autism runs in our family. Because, you know – there’s a genetic link to autism. A post on her book chapter, please. I mean, really, that was terrible. Besides the idea US = Autism is totally baseless, what does Margulis expect Moms to do with her “info”? Refuse all US? How is this helpful for the many babies saved by US? Oh, right, they weren’t “meant to live”…. My beautiful DD was saved by a routine scan. Without it, I wouldn’t have her. period. Even if the possibility of autism was a price I had to pay, I would happily pay it. Thankfully, thats nonsense, as I had 25+ high res scans with each of my kids. I am also kind of disgusted by these AV and NCBers that paint autism as the ultimate boogeyman. Like autism is so horrible, people that have it are so damaged, that its better to risk their actual LIFE to avoid it? It just smacks of ableism, in the worst way. She expects vulnerable parents to buy her book, that’s what! Conspiracy theorists have to make a living too, and nervous, vulnerable prospective parents are a great potential market. Yes, I had a high risk pregnancy and lots of scans too. (Less than 25 though). Both of my sons are not on the autism spectrum. I realize that between us, we are n of 2, but still we show that many scans doesn’t mean your child will have autism. 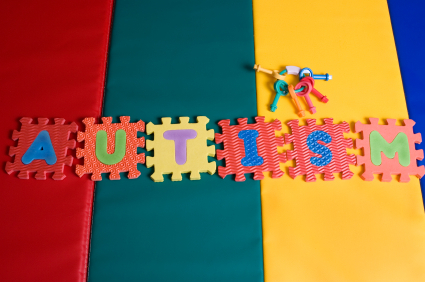 Do autistic children have some marker that can be found via US? I mean, something like 2-vein cords…something associated with development of autism? If there was, that could explain why women whose children are autistic might have had many u/s. (As in, the OB is watching this other thing, which for whatever reason shows up more commonly in autistic children.) I am asking, not stating that this is the case, btw. Food for thought…vitamin D deficiency. Not really. The differences take place in the genes. Comorbids to autism are often vague things like migraines and stomach problems. Thus, children don’t generally get a diagnosis until they are at least two and the oddness begins to be obvious. You can have a similar gene pattern and not be autistic, too. So even at that level they haven’t put their finger on it. Jennifer Margulis needs to go away. She’s progressed from merely looking like a minor fool to becoming the village idiot. The calibre of her writing is embarrassingly bad. I read the first chapter of her book. Badly written and panders to those who want to blame doctors for something and everything. One wonders what possessed Brandeis to make her a senior fellow of investigative journalism. I’d like to see an actual investigative journalist do an expose of her. Wonder if any up and coming Brandeis students need a story for the school newspaper. It is shocking, isn’t it? The first chapter of this book is appalling — no footnotes, sweeping generalizations, figures with no sources, etc. The part that really made me roll my eyes was where she talks about all the scary chemicals in prenatal vitamins with no effort to research what they actually are or if they could actually be harmful. For example, suuuuuper scary sodium benzoate is a common food preservative found in salad dressings, sodas, jellies, etc. I read the first chapter last night and felt particular outrage toward her misguided prose on prenatal vitamins. On one page, she includes a summary detailing the cost of nine months of prenatal vitamins…and then helpfully includes that a bunch of kale costs only $1.99, or something like that. Please, Jennifer — do tell us how much kale a pregnant woman would need to eat in order to achieve the recommended daily dose for pregnant women. I’ll answer: a whole freaking tub full. She’s completely irresponsible, not to mention an awful writer. Frankly, I would have had a hard time taking her seriously even when I was totally into the woo. Jennifer — Henci Goer, you are not. I read the first chapter last night and felt particular outrage toward her misguided prose on prenatal vitamins. A friend of mine has traveled with a charitable group to another country where the poor mostly have inadequate nutrition, mostly due to what foods are available to them and the quality of those foods. They bring tons of prenatal vitamins, as that region has a very high incidence of neural tube defects due to a lack of folic acid in the foods. That’s hilarious. I got generic prenatals from Target and they are $4 for a 3 month supply. Yes, that’s a whole $12 for a pregnancy. Not exactly breaking the bank. Right? You can get the pricey ones from your doc or you can look at the ingredients and get the cheaper ones yourself. I couldn’t swallow those horse pills, personally, so I ended up taking stuff separately — a multi, a folic acid supp, and an omega 3 pretty much does the trick. The NHS will give me high dose folic acid free for as long as I want, if I am TTC or in the first trimester. I can also get free high strength iron, vitamin D and calcium during pregnancy. Shock horror JM, the NHS has actually analysed the research and thinks that paying for universal supplements is more cost effective than dietary advice. As someone who suffered from bad NVP for 20 weeks, I really resent this. Jennifer Margulis would have undoubtedly been one of the helpful morons saying things like, have you tried Sea Bands? Acupuncture? Peppermint? Or, you know, maybe it’s your prenatals? Jennifer Margulis, we don’t know why some women get sick and others don’t. Far greater minds than yours have various theories but the reality is that NVP and HG are both somewhat of a mystery with respect to the whys and wherefores. I’m not going to posit that prenatals don’t adversely affect some women, but that isn’t what Margulis is saying. In her attempt to disparage the use of prenatals, she makes some pretty sweeping statements and offers a few useless anecdotes. Reminds me of an advice column I read where a doula was angry that her friend wasn’t doing an elimination diet to help her colicky, nursing infant. The doula (who mentioned her profession as evidence of her expertise) said her she went on an elimination diet while nursing her colicky baby and the baby’s colic cleared up after a few months. Someone pointed out she could have been sticking gummy bears up her rear end and the baby’s colic would have cleared up after a few months–that doesn’t make it a cure. That perfectly illustrates the level of ignorance of fundamental logic that we are dealing with. “I did X and condition Y cleared up after a few months” when in almost 100% of cases, condition Y clears up in a few months no matter what you do. Yet that is seen as valid reasoning in some circles. As in, why are your car keys ALWAYS in the last place you look? Thanks, molly. Now I will not be able to get the image of shoving gummy bears up the rear end out of my head. My kids love gummy bears. I, suddenly, find them unappealing. -My baby is really colicky. Should I do anything to cure it? -Just give your baby time and cuddles. She’ll grow out of it. – But are you sure there’s Nothing? What about eliminating dairy? And sugar? And yeast? And shellfish? Peanuts? – No proof that its effective. – Gripe water? Ovol drops? Fennel tea? – Again, no evi….ah what the heck, go for it. Smile, we tried a couple of those things for our youngest. As you say, just wanting to do SOMETHING. Effective? Kinda. Effective beyond placebo? No way to tell. I’ve seen placebo fixes in software where a customer was told to do something that would have absolutely no effect, but it made the customer feel like they were being cared for for a problem we absolutely knew would never reoccur. If we’d done nothing at all, the customer would be unhappy, so what do you do when a customer DEMANDS you do something and there is nothing you can meaningfully do? Hey, even I tried a couple with my son – *dont tell anyone* – out of sheer desperation. That’s the customer service aspect of midwifery. True story–with my last pregnancy, seeing my beautiful new blue-and-white china made me nauseous. I had just spent a bundle on it, too. Doctor Blaming: making well-off white women with no medical or science background whatsoever feel powerful, knowledgeable and (above all) special, since the beginning of the Crunchy Era. I wonder what percentage of Somalian children are tested for autism, or whether the diagnostic criteria are the same. I also wonder why an MD would make such baseless comparisons. I don’t work in Somalia, but I know a number of African children with (diagnosed) autism. The diagnostic criteria are the same, but there aren’t really that many providers around to provide said diagnosis. You only get diagnosed as autistic (as opposed to stupid or bad or possessed) if your parents are rich enough to afford private medical care and/or a school with well-trained counselors. As if there are no differences in medical care and lives of kids in Somalia, vs Somalian kids in US. I’m sure there are a huge amount of specialists just ready to diagnose and treat kids w autism in Somalia, amirite??? Somalia is the worst failed state on the planet and hasn’t had a real government for decades. I’d be amazed if there was any structured healthcare left at all. If there is, they’re dealing with cholera, parasite infestations and plain old starvation on a daily basis. I don’t think there’d be a lot of resources left for diagnosing autism. The fittest survive under these circumstances. Children with autism would be among the last to be fed and will probably die before getting very old. My classmate did anthropological work in Africa and said, “you can spot the autistic children because the cigarette burns on the arms. The parents are trying to drive the spirits away that are claiming their child. That book is fabulous btw. Highly recommended reading. another good book on cross cultural medicine is The Spirit Catches You and You Fall Down. How a young Hmong girl with epilepsy was treated in the San Joaquin Valley. Required reading now in cultural anthro classes. I am definitely stealing this for my class. Yeah, lets scare new moms that may need more frequent ultrasounds for monitoring into thinking they might be causing autism–so issues that could be remedied inside the womb or immediately after won’t be resolved. Sounds like a freakin’ great idea. Like there isnt enough to worry about. Love it when you get all satirical on their asses!!! I wonder if we’ll hear of any outrage that you’re claiming that AP really does cause autism, since so many people take your satire so seriously. My thoughts exactly. Waiting for the outrage in 3, 2, 1….